beautiful colours in this picture – nice composition too. 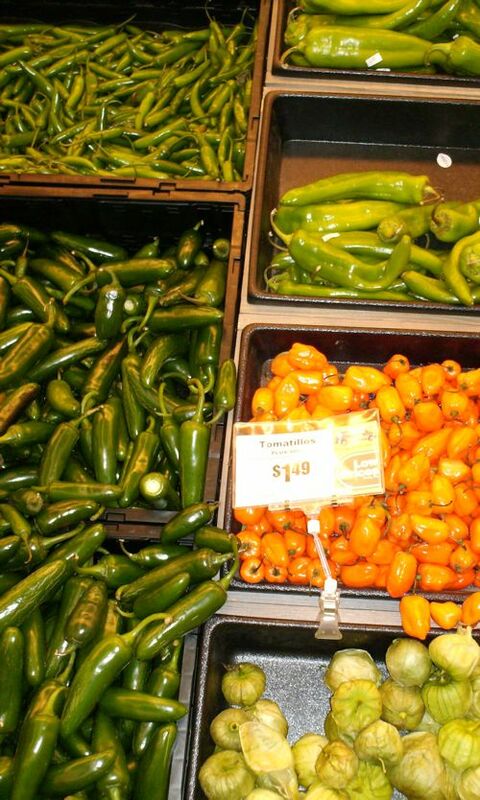 god help the poor soul who don’t know a tomatillo from a habanero… awfully close, aren’t they. I have an ongoing fascination with the peppers in the produce departments. Mostly fresh peppers. Love those Scotch Bonnets. And amazed at what can happen with a iPhone camera, some days.